It's always a pleasure to meet Christophe Foucher, and we regularly see each other, albeit briefly, on the saturday market in the beautiful town of Saint Aignan when I/we spend a weekend there. Going to the market is a welcome ritual, the small town is very alive on that day, you buy some charcuterie in one of the trucks, some vegetables elsewhere and also goat cheese, grab the local free newspaper Le Petit Solognot and head to a bar for a coffee or a glass of Sauvignon while reading the local stuff. Last time B. and I were queuing for vegetables and at our favorite greengrocer when I realized that Christophe was two heads behind us, so we left our spot briefly to ask him about dropping at his place and taste a couple of wines, something i wanted to do again for a long time. Speaking of the people in this same queue, there were also a bunch of young folks right in front of us and they happened to be (we learnt that minutes later) visiting friends of Ben and Emily, who live in Pouillé sur Cher, 9 kilometers from there. We stumbled upon again the whole party, this time reunited with Ben & Emily after we sat at a local wine bar named Aux Cépages, we sat inside and when we looked through the window, here they were... Le monde est petit... Whatever, this market is hot with wine people, Catherine Roussel from now-closed Clos Roche Blanche and also Noëlla Morantin are regulars. Beyond his quiet, humble demeanor Christophe foucher is foremost a skilled winemaker and grower, working for a handful of hectares (must still be 5 I guess) between Saint-Aignan-sur-Cher and Selles-sur-Cher in eastern Touraine. 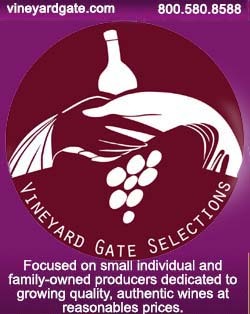 His wines ae made the most quietly and naturally possible, without any additives and without added sulfites. We didn't go to the parcels this time but I did it a couple years ago in his Menu Pineau and it was obvious he loved working around his vines even by himself. When we showed up the wine farm was on its quiet mode, the wines were quietly on their way in the outbuildings and cellars, with the big cat patrolling to show he was worth his food stipend (it wasn't allow inside the living quarters that day, having caused some trouble in the kitchen and taken some liberties with the rules...). Christophe says that this year (2016) is a nice year for the grapes, the harvest was very nice with good volumes and basically no sorting to do. Of course he'd not have said that a few months ago at the beginning of july when the region was overflowing after terrible downpours, he says it could have swung either way, just another week of rain at that time and he'd have lost all the fruit, more or less, there was nothing you could do at this stage, but the rain stopped abruptly and a beautiful, dry weather settled in, turning the prospects around dramatically. During the rains he still could pass with his tractor for the sprays, thanks to the fact that he keeps every other row with its grass, but anyway he didn't intend to spray like crazy, especially that year after year he diminished the volume of sulfur and copper sprayed on the parcels, alternating instead with baking soda, potassium; this year he did only 4 sprays with sulfur & copper and 5 with baking soda. He says that even though it's allowed for organic farming, sulfur and copper are not good and it's better to find ways to decrease their use. He also uses essential oils from different plants, he says fungi don't like to be disturbed and if you vary the nature of the sprays they're taken aback, needing time to adapt and move on again, all you need is destabilize them and slow them enough. He has a friend in the region who hasn't been watchful enough this summer and he lost everything, all the grapes; you have to be always wary and ready to act when needed, that's the grower's dilemma, especially in rainy regions. Then during those dry, hot weeks, there was a peak of temperature and like elsewhere he had some of the exposed grapes that literally grilled under the sun. We follow Christophe in his first barrel cellar, in an outbuilding facing the farm, the room remained mostly untouched since the construction with a beautiful door (pictured on left) and a large and simple key. He goes to the first barrel on the right which is standing vertically, that's because he made a skin maceration with Cabernet Franc (there's a bit of Cabernet Sauvignon as well, a few vines standing in the parcel). It's not the first time he tries this maceration in a barrel, he did it already a couple of times, in 2009 and some other year, 2011 maybe, and also last year. He had found out that the result was very nice and encouraging, the only down side being that it takes lots of time, but after tasting these wines years later, he thought he really had to do it again. In 2009 he had let the thing macerate for a year, it depends of the maturity of the grapes, the tannin and so on, it can be only 3 or 4 months like last year, and when he feels this is the right time to stop the maceration, he takes away the free run juice, which at the end makes from half of the height to 2/3 of the height. He opens the barrel the same way, after which he presses the grapes. There's several options to recover the free run juice, either tilting the barrel or with a small pipe by gravity, and of course he opens the barrel only after having siphoned the juice away, otherwise the juice would leak from all around the barrel. Then the grapes by themselves are pretty easy to take away, either tilting the barrel or using a shovel. He has 4 such barrels of macerated grapes this year, all cabernet. Taking advantage of our visit and the fact he'd taste this wine,Christophe decides to weigh it to see the remaining sugar. Christophe went to the next standing barrel, also full of its load of macerating cabernet grapes and put his ear on the hole after removing the stopper, it was indeed singing its usual fermentation song. It is said that the first fermentation doesn't make the same noise than the malolactic, I remember once being initiated to the difference, the trick being that (especially with the natural wines which aren't fermented artificially through additives) the two fermentations often overlap in the same time window. Some of the barrels (like this one) literally overflowed with the juice, turning the upper bottom bright red, it's like the fermenting juice expanded beyond the tight limits of the vessel, getting up along the grapes by capillarity and somehow managing to get out through the hole even though of course the juice doesn't fill the whole vessel. That's another mystery of the fermentation activity, Christophe doesn't know why this particular barrel overflowed (several times actually), as he filled it the same way that the others. The shape of the barrel is not neutral for the fermentation, especially compared to a stainless-steel vat with straight sides, here the roundness of the vessel helps create a movement in the juice; the other thing in the barrel is that the grapes are packed in a small volume, this also makes a difference versus a large fermenter. The fermenting juice will have easier to spread its fermenting push to the rest of the fruit upward, the upper grapes themselves slowly disintegrate, liberating more already-fermenting juice that combines with the rest. That's a little bit like a carbo, just with destemmed grapes in a really tight & closed vessel. The name of this cuvée is La Flou, this is the parcel name; there are two parcels actually of Cabernet Franc, with some of the rows being planted with Cabernet Sauvignon as well. It was the first time he was doing the sugar check for these 5 barrels of macerating cabernet and it is now at 1040 (when we visited), it still a long way to get dry (around 995 with the hydrometer). He'll taste the juice regularly but there's a good chance that he'll keep the maceration going for quite a while, and probably around 1010-1000 he'll decide that it's time to move on and press. He has to stop before extraction shifts toward harsh, herbacious tannins that are not delicate nor elegant. We taste the juice after Christophe weighs the wine, it has a light new-wine color, very nice looking juice that got no so2 at all; in the mouth it's still the deliciously-sweet juice although alcohol is certainly going up already. This first cellar where we walked in has two levels, the one with the barrels of macerating cabernet near the door and down a few steps (the charm of these old buildings with a history) there are a few more barrels and a few vats. These thick walls keep the inside fresh and cool even in summer, especially because it's half basement. The red tank and also the white one above are full with last year's Sauvignon, which was before in casks. He did the racking at the harvest, not only to make room in the casks but because this was the right time, the wine didn't need more élevage on lees. The fiber vat standing right next to the white tank is Menu Pineau. Speaking about the harvest this year, Christophe says that this Cabernet was picked in the 3rd week of october, the whole picking season lasted about a month from mid-september with the sauvignon that ripes earlier, the gamay & the menu pineau (the 3 of them riping either close to each other or for some reason far apart) to the cabernets more than a month later. They had sometimes blanks, a few days in a row where they'd not pick anything, which is sometimes not easy to handle for the pickers who need to work but his small team is made of 12 to 15 people, most being regulars who know him and who have become friends along the years. With 5,5 hectares split in several parcels of different varieties this is the usual scheme, you have to wait in between the ripeness windows. Christophe himself tries to stay with the pickers because it's an important stage, and Stefana, a French-American woman who has done a few harvest seasons in the region including at Noëlla Morantin kept an eye on the chai. On several occasions this year they'd press two batches in the same day and in the morning you have to clean up all the mess and prepare the press for the following batch, and it was good to have someone on this side. __ Sauvignon 2016 from a 500-liter barrel in the middle of the room. From a parcel of clones, 35 or 40 years old. Christophe says that the density by now is around 1008 or 1006 but it still has way to go, he listens a bit here also and nods that it's still fermenting noisily. In the mouth the juice/wine is still a gem of a velvet-coating sweet bernache although it's down to 1008 or 1006, surprising, with also a nice acidity and some gentle tannic touch. He doesn't know if the malolactic had started by then, he doesn't feel so by the taste but he never makes an analysis on this issue anyway, except if he has a tasting problem to solve, he just kind accompanies the wine from a distance. He was much more easily worried in the early years but experience led him to relax and trust the wine in its intrisic capabilities to find its way up. In these early years very often he did things he thought were necessary because he got frightened at this or that direction he felt the wine was taking, he'd do an extra racking or some other intervention and very often he noticed that the barrels he left untouched in the same batch were much better than the ones where he tried a salvaging intervention. He's watchful of any potential volatile but here with this quality of juice in 2016 there's none. He doesn't like the acetic defaults in the wine, he says some natural wines tend to have these issues these days and that's something he doesn't look for. On the other hand a reasonable level of volatile is normal in a fermenting juice but if it goes out of control it's that there's a problem, you'll get harsher tannins, get another type of acidity that is not the natural one of the juice and loose the elegance. __ Other barrel (normal size), Sauvignon 2016 from a massal selection (also 35-40 years if I'm right), he says the massal selection yields wines that are slightly different. I find the nose more vivid (but B. found it more discreet, go figure). The color is gorgeously lemonesque and vivid, he says that's a sign that the fermentation unfolds in good conditions, with a good level of activity. Delicious juice, really a pleasure. It is more vinous at this stage than the previous juice we tasted. Christophe says that in the past he'd dissociate the cuvées more than he does today. Now he tends to have one cuvée of Sauvignon, one of Menu Pineau, he may occasionally do a blending with some Sauvignon and some Menu Pineau. He vinifies the different sauvignons separately but they're blended together in the end. __ Sauvignon from another barrel, made from younger vines. He used to vinify this separately, calling it Les Petites Vignes in an allusion to their young age but they're not so young anymore and in their way they participate in the blend, bringing a little more freshness, he says the interest of combining this wine with the other sauvignon part is even more obvious when the wine gets more mature, in a few months. __ Menu Pineau, still in its fermenting highly turbid stage. B. says there's a strong gas coming out, could be CO2, or some reduction, I tilt for the CO2 which has a particular smell although the common narrative is that it doesn't smell anything. Christophe has about 0,5 hectare of this variety (more pictures & content on this vineyard here), the vines are 80 years old. He loves this variety not only because it's getting rare in the region [thanks to the shortsightness of the Appellation authorities who virtually wrote it off the map] but also because it makes very interesting wines even if less strilingly aromatic compared to the Sauvignon. This year (like last year by the way) the harvest of Menu Pineau was quite exceptional in terms of quality, and he got the volume on the top of that, he made 8 barrels of menu pineau when on some years he has only two, sometimes 3 or 4 (from the same parcel). B. loves it, she says it's salivating. Very lovely indeed, with a nicely-structured white. The sugar is going down already, Christophe says that it always ferments more easily than Sauvignon, even if the goal is not to get quick fermentations. There's this animal nose, he says, which may also be the character of the wine and that's fine. Christophe's wines get no SO2 at all. In the past he used to add a bit of it before the bottlings but he doesn't even do that, the only indirect occurence may be the one coming from a sulfur-wick use from a barrel that has been left empty for a few months, but he rinses these barrels at high pressure before re-using them. __ Gamay, taken from one of two 500-liter demi-muids. Went through a 2-week whole-clustered maceration, with just a bit of foot stomping in the beginning and one remontage. The stomping is done in the bottom only, when there are just a layer of grapes, after which he pours the rest of the intact bunches, the goal being to have the fermentation started in time, he often also adds at this stage some other already-fermenting juice (some Sauvignon for example) to help kick-start the process. Christopge explained to us how the sorting was done for the grilled berries, the only real issue in this nice harvest : he didn't have the thing done at the chai but right before the picking itself, several pickers passed in the rows before the actual picking to take of the badly-grilled bunched The problem was to prevent the grilled berries (the varieties at least) from reaching the maceration tanks, they'd not dump these grapes but they'd use these partly-damaged red bunches for a direct press, for another type of juice. In the case of a maceration they could have yielded unwanted things and the solution was to have them pressed right away, he thus made a sparkling, a Pet'Nat from these grapes. He makes very rarely some pet'nat friom his sauvignon and his menu pineau, he considers it's much more interesting to make classical still wines from these grapes, he is not particularly thrilled by making sparklings. He makes a bit of them every year while reserving the best of his effort for his mature still wines. As we were leaving the cellar we passed this incredible miniature Vaslin press which I didn't remember having spotted here (and I think I never saw anything that small for an horizontal press). I didn't take its measurements but giving what you can see around it's really a miniature press. Christophe says it makes 4 or 5 hectoliters (I'd have guessed much less than that), he bought it to a retiring farmer who was selling other stuff like farm or chai tools, and he stumbled on this press, thinking he might use it occasionally [especially if presumably he paid almost nothing for it] for small batches or liquoreux. The wine is crystal clear, nice purity. B. smells elder flower aromas. I love the mouth touch, very limpid, neat and unctuous. Christophe says that the wine needed some time to be ready, it was still turbid a while ago; he'll bottle the wine by gravity with his 4-spout bottle filler, very simple and efficient. He says he'd like to keep this system because it's very soft on the wine. That's why he'd like to keep hi vats hanging up in the vatromm (like the white one on the picture) because it allows an easy gravity bottling. __ Then we taste samely the Menu Pineau 2015, also taken from a fiber vat and waiting for bottling. He has 13 hectoliters of this wine, this is Le Haut Plessis cuvée. Christopphe says this wine is a bit less ready for the bottling compared to the Sauvignon. His idea is to have the cold temperature of winter help settle it, it purifies the wine and settles the wine, bringing the tartar in the bottom. It's very important to have the wine settle by itself because he doesn't filter it nor fine it and there'll be no SO2 added. I ask him if he prints something like "no added sulfites" on the label, he says no but seems to be open to the idea. He prints instead the almost compulsory "contains sulfites" which even the sulfites-free wine often display (because wine may naturally produce its own). The Menu Pineau is very beautiful, super good ! It was also vinified in 15-year-old barrels before being racked here. There's a minerality feel and also somthing hinting at a solid structure in the wine, akin to something you find in the Romorantin. B. took time to warm up the glass in her hands and she fins it sappy, we nod. Christophe says that he looks foremost for purity in wines, avoiding volatile and other things, he learnt along the years to avoid these traps, putting away the faulted juice if needed, but that was years ago [I'm sure I'd still have found these wines terrific though...]. I asked about the export ratio for the Menu Pineau we've just tasted, Christophe says it's like the rest, meaning ever more important compared with the domestic sales. He says today he exports 80 % of his wine, I ask him if he has to give allotments to his foreign clients, he says yes, and he still wants to be present in France in the cavistes and restaurants. In France he says though, he has regularly issues with byers who don't pay, it's not general but still common enough and he has to go to Paris and ask this or that wine bar or restaurant which doesn't seem in financial difficulty to at last pay for wines that have been shipped 4 or 5 months before. He says there are quite a few natural-wine producers who feel they're being abused on this field. My own idea is that these venues should be publicly shamed for such behaviour, and if like usual the mainstream media will stay quiet, the wine blogs could do the job. Speaking of the exports I didn't ask the whole list but in the United States there's Chambers Street Wines and Percy Selections, in Japan it's Mr Ito of Oenoconexion and In Scandinavia there's Rosforth & Rosforth in Denmark, all being major players. Belgium is also a good buyer, and soon ther'll be Holland too. Lastly in Christophe's home we had the pleasure to drink his La Flou 2015, Vin de France, Cabernet Franc (with a bit of Cabernet Sauvignon) that has been through a maceration in barrels. 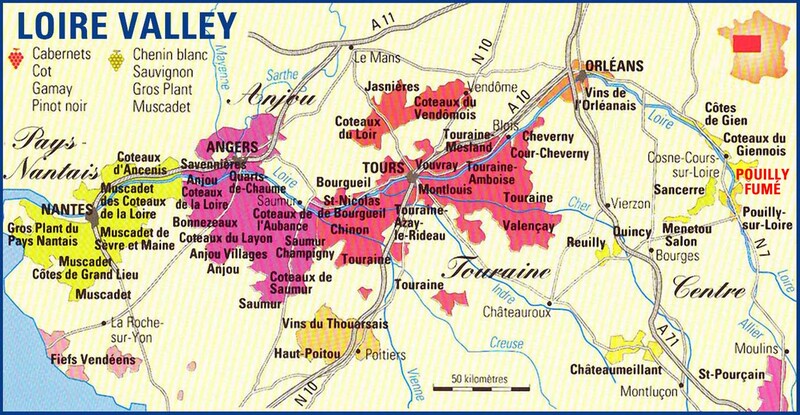 His wines are labelled in Vin de France (or table-wine status) almost since the start but he'll not try again to get the AOC, there's no real excitement to get the Touraine Appellation, especially if at every corner you'll be finger-pointed as atypical or beyond the norms. People buy La Lunotte and they don't really care about the AOC [I'd even say they could be worried if he was to be anointed by the Appellation system...]. His bottles are alwats crystal-clear so that you can see the real color of the wine through the neutral glass. B. notes that there's a hint of chocolate aroma in the wine. the wine is cold and I spend some time warming the glass in my hands, the aromas are getting more interesting as soon as it gets warmer, very nice fruit indeed. There's a nice acidity and like Christphe says, it's sappy in the mouth and the throat. I see why the wines are so good. It's because the cat is closely supervising the pressing. By the way, if you have a chance next time you're in the area, you might want to check out Vignobles Dinocheau in nearby Monthou-sur-Cher. Great write up. Some of the best and most underrated wines in France. Cheers!